Drama; 2016, 127 minutes; Color. Available from Amazon.com. TWM offers the following worksheets to keep students’ minds on the movie and direct them to the lessons that can be learned from the film. Teachers can modify the movie worksheets to fit the needs of each class. See also TWM’s Historical Fiction in Film Cross-Curricular Homework Project. From the 1930s to the advent of the digital computer in the early 1960s, several hundred female “human computers” were hired by the federal government. Their task was to calculate numbers and to manually solve the equations necessary for new generations of airplanes, the first American rockets, and the first U.S. manned space flights. They worked with pen, paper, and analog adding machines. The need for these workers was so great that even in those days of rampant racial discrimination, black women were hired as well as whites. The human computers reported to the Langley Research Center in Hampton, Virginia, operated by the National Advisory Committee on Aeronautics (NACA) and its successor, the National Aeronautics and Space Administration (NASA). 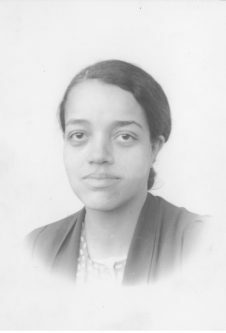 Dorothy Vaughan, who supervises the “colored computers.” She sees that digital computers are the wave of the future and learns the prototype programming language FORTRAN, orients herself to a room-sized IBM computer, and encourages the women in her section to do the same. Katherine Goble Johnson, a gifted mathematician, performs essential calculations and makes important theoretical contributions for determining the trajectories and orbits of America’s first astronauts. Backing up a digital computer’s early efforts, she confirms final calculations for John Glenn’s history-making orbit of the Earth. Mary Jackson takes on Virginia’s stridently segregationist education system to attain the graduate qualifications that allow her to become NACA/NASA’s first female African-American engineer. The women face entrenched racist and sexist attitudes. However, their persistence and outstanding work boost the U.S. presence in space and blaze a path forward for achievement based on merit. The movie closely follows Margot Shetterly’s meticulously researched historical work of the same name. See Bibliography. 2017 Academy Awards Nominations: Best Picture; Best Performance by an Actress in a Supporting Role (Octavia Spencer); Best Adapted Screenplay; 2017 Golden Globe Nominations: Best Performance by an Actress in a Supporting Role in a Motion Picture (Octavia Spencer); Best Original Score – Motion Picture; 2017 Screen Actors Guild Awards: Outstanding Performance by a Cast in a Motion Picture. 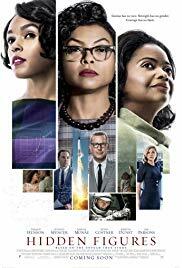 Taraji P. Henson as Katherine G. Johnson; Octavia Spencer as Dorothy Vaughan; Janelle Monáe as Mary Jackson; Kevin Costner as Al Harrison; Kirsten Dunst as Vivian Mitchell; Jim Parsons as Paul Stafford; Mahershala Ali as Colonel Jim Johnson; Aldis Hodge as Levi Jackson; Glen Powell as John Glenn; Kimberly Quinn as Ruth; Olek Krupa as Karl Zielinski; Kurt Krause as Sam Turner; Ken Strunk as Jim Webb. Hidden Figures is well-crafted historical fiction that is inspirational for young women and students of color, as well as for the public in general. It tells a story that was “never hidden, but unseen.” The Mses. Vaughan, Johnson, and Jackson are outstanding role models for young people who are trying to break through barriers of prejudice and glass ceilings in employment. Additionally, the film provides a historical link to today’s STEM and STEAM initiatives in schools and can alert students to seek out programs that will reinforce their skills and lead to careers in science and technical fields. It provides excellent opportunities for class discussion and assignments. Quotation from From Hidden to Modern Figures: Frequently Asked Questions, the NASA website, accessed April 24, 2017. Students will be introduced to (1) a unique and fascinating episode in American history; (2) the struggles of black women to reach racial and gender parity in the workplace; (3) the accomplishments of black women in technical fields and their contributions to America’s efforts in aeronautics and the space race; (4) the disruptive influence of WWII and the Cold War on patterns of employment and discrimination, disruptions which helped lay the groundwork for the rise of feminism and contributed to the Civil Rights Movement; and (5) some of the effects of Jim Crow. Watch the film with your children and tell them while the movie is fictional, the three ladies shown actually lived and worked at NASA, and that the movie give us some idea of their experiences. Also, be sure to put the film in perspective. It doesn’t show the full extent of the daily humiliation endured by black citizens of the United States during the period of the film, the beatings, the lynchings, and more. Hidden Figures doesn’t show the millions of people denied jobs due only to the color of their skin. By the 1930s it was clear to American leaders that the next war would have a different tactical lynchpin than WWI: much of the war would be fought in the air. It was essential to transform America’s unimpressive aircraft arsenal into a powerful aerial armada. This opened the door a crack for women at Langley, as it did in many other fields. During WWII, when many of the men were needed to soldier in Europe and the Pacific, the need for manpower to fuel the American war materials machine became a need for woman power as well. Thus, the door for women in these fields opened a little further. While increasing numbers of women were being integrated into the workforce, another social change was underway. In 1941, as American industry geared up to produce the weapons to fight WWII, a group of civil rights activists led by A. Philip Randolph, head of the union for black men working as sleeping car attendants on America’s railroads, formed the “March on Washington Movement.” They demanded that President Roosevelt end racial discrimination in hiring for the defense industry and threatened a massive march on Washington, D.C., to protest racial segregation in employment and in the military. Randolph is credited with forcing FDR to issue Executive Order 8802 which prohibited racial discrimination in hiring for national defense industries and established the Fair Employment Practices Commission (FEPC). While Executive Order 8802 didn’t end discrimination against African Americans in defense industries, it did lead to some job gains for black workers. In 1943, employment applications began arriving at Langley from black women. 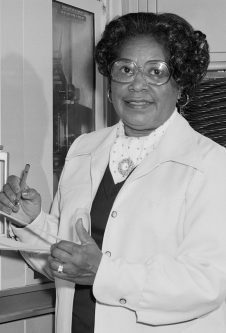 For example, Dorothy Vaughan, one of the three main characters in the film, came to NASA when she saw a federal civil service bulletin intended to recruit white women. Even though there was still discrimination against “Negroes,” the relentless Mr. Butler began hiring well-qualified black women to work as human computers. He got around the scandalous implications of racial equality by setting up a segregated work area for the smaller number of “colored” computers. It was called West Computing because it was located in a building at Langley’s Western end. White females worked at East Computing. Shetterly 8. Propelled by the Civil Rights movement, opportunities for blacks to work in the aeronautics and space industries opened up a little more during the 1950s and 1960s. Spurred by Russia’s Sputnik, the first man-made object to orbit the earth, the U. S. recognized the need to provide technical and scientific training to students and to move them into positions that could benefit America’s reach for the heavens. The administration of President Dwight D. Eisenhower responded by increasing the resources that went into scientific research and training. Additionally, U. S. leaders were engaged in selling the American way of life to non-aligned nations during the Cold War. They worried that Jim Crow segregation and the second-class citizen status of American “Negroes” would not play well in the court of international opinion. Shetterly 104. In the American South after the Civil War and Reconstruction, the white (formerly slave-owning) power structure in the South reasserted itself and imposed a racist system through “Jim Crow” laws and customs. These were designed to denigrate and suppress African Americans. One of the pillars of Jim Crow was separate sanitary facilities. 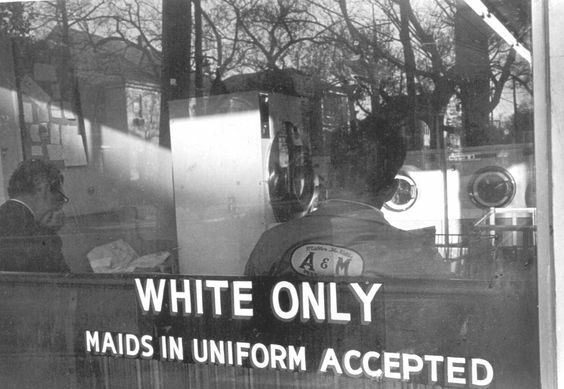 Restrooms and drinking fountains were designated “White Only” or “Colored.” There were many fewer restrooms and drinking fountains for blacks than there were for whites. Every day in cities, towns, and villages across the South, African Americans faced personal emergencies when the only restroom available for what could quickly became urgent needs was forbidden. A black person in that situation had to find some alternative or run the substantial risk of arrest or a beating for using a “Whites Only” restroom. This disgraceful practice is treated semi-humorously in the film — cinematically, there was no other way to present it. However, the unavailability of restrooms was no laughing matter for African Americans who had to live under Jim Crow. Ms. Shetterly’s book describes the proliferation of black middle-class neighborhoods around the Langley campus in the middle of the 20th Century. Despite economic and professional gains by African Americans since that time, segregation in housing hasn’t changed much. … As John Logan and Brian Stults of Brown University’s US2010 Project have shown, in 1940, the average black lived in a neighborhood that was 40 percent white. In 1950 it fell to 35 percent — where it remains today. This average, of course, aggregates data from many neighborhoods where blacks have virtually no exposure to whites, and others where integration is advanced. Nonetheless, by this measure there has been no progress in reducing segregation [in housing] for the last 60 years. How integrated is your neighborhood? by Denise Oliver Velez, Daily Kos, Sunday Feb. 19, 2012. African-American newspapers, journals, and magazines of the 1940s and 1950s were inspiring and influential in the segregated lives of America’s black citizens. They contributed to initiatives to integrate society and achieve economic and social justice. In WWII these publications promoted the “Double V Campaign:” Victory overseas in the war and victory over discrimination at home. This campaign intentionally echoed the concept of the double consciousness of blacks in a racist society, a concept articulated by the African-American intellectual W. E. B. Du Bois, and analyzed in his signature book, The Souls of black Folk. Dubois wrote that blacks faced a nearly impossible task in constructing internally positive personal identities because they were forced to act in ways that were acceptable to an oppressive white society. To do this they had to see themselves through its eyes: devalued and negatively stereotyped. Shetterly 33. This psychological conundrum confronts every oppressed group. Euler’s Method, employed by Katherine Johnson in her breakthrough calculations for John Glenn’s Friendship Seven orbit, was devised in the 18th century. It provides an approximation for the solution of a differential equation. The idea behind Euler’s Method is to approximate a curve using the concept of local linearity to join multiple small line segments of the curve. Mathscoop.com. The method was one of many mathematical innovations developed by Leonhard Euler of Switzerland, one of the great mathematicians of his time. Euler lived from 1707 to 1783, dying just seven years after the U.S. declared independence from Great Britain. This movie takes place during the Cold War with the Soviet Union, 1947 – 1991. In 1957 most Americans thought of the U.S. as the undisputed technological leader of the world. Then, on October 4, 1957, the Russians launched Sputnik, the first man-made object to orbit the earth. Sputnik was followed by additional Russian successes in space: the first animal in orbit (1957, the dog Laika); the first animals and plants returned alive from space (1961); the first human in orbit (1961) etc. From 1957 to 1961 the Russians led the space race as the early U.S. space program was plagued by failures. Americans looked up at the sky and wondered what the Russians had up there and, Americans of all races, classes, and backgrounds were united in their desire for the country to put a man into orbit and bring him home safely. At the same time, in the late 1950s and early 1960s, the Civil Rights movement was gathering force. However, most of the Southern U.S., including Virginia, was still in the grip of laws and customs designed to denigrate and oppress African Americans. These were referred to as “Jim Crow.” In addition, black people and women of all races suffered from discrimination in employment. In the early 1960s, electronic computers were in their infancy. The people designing airplanes and rockets used analog adding machines. An ingenious analog device called a slide rule assisted engineers and scientists with multiplication, division, and finding exponents, roots, and logarithms. Tell the class that Hidden Figures does not claim to describe the full effects of racism or the broad scope of the Civil Rights movement. It shows an episode in the ongoing process of eliminating discrimination against blacks and women in employment in the U.S.
After watching the movie, students will be interested in reading the Helpful Background section. Click here for a version in Microsoft Word, suitable to be printed and distributed to the class. Teachers should feel free to modify or add to the handout as may be appropriate for their classes. The author of Hidden Figures, Margot Shetterly, estimates that she has identified almost 50 black women who were working at Langley – NACA/NASA as computers, mathematicians, engineers, and researchers. She surmises that about “70 more can be shaken loose.” Approximately 400 white women were working in the same capacity. Katherine Johnson and Mary Jackson worked for Dorothy Vaughan in West Computing, but the three were not close friends. The character of Al Harrison, Katherine’s boss at the Space Task Group, is a composite. NASA says he is largely based on Robert C. Gilruth, who became the director of the Space Task Group in 1958. Shetterly nominates engineer John Stack as a model for Harrison. Fly-by-wire navigation (FBW), in which the trajectory of the flight is controlled by computer and not by the pilot, began with the Mercury mission. In 1962 FBW wasn’t as reliable as it is today. The early astronauts, who were all former test pilots, hated FBW and lobbied hard for back-up manual controls. As they said, they didn’t want to be “spam in a can.” In fact, the manual controls saved the life of at least one astronaut. For a description of the struggle between the astronauts and the engineers over FBW. See Learning Guide to The Right Stuff. John Glenn really did request that Katherine Johnson double check the computer calculations. Glenn said, “. . . [G]et the girl. . . . If she says the numbers are good, then I’m ready to go.” NASA Biography of Catherine Johnson, accessed April 22, 2017. Ms. Johnson did the computations in the days leading up to the launch, not when Glenn was about to climb into the spacecraft and blast off. The characters who exhibit the most adherence to Jim Crow attitudes, the initially hostile police officer, the condescending white engineer in the Space Task Group, Paul Stafford, and Mrs. Mitchell, the white supervisor, all change their behavior. The policeman escorts the three protagonists to work. Mrs. Mitchell indicates her growing respect for Dorothy by addressing her as “Mrs. Vaughan” at the film’s end. And Paul Stafford reverses his resistance to Katherine’s presence and status, bringing her a cup of coffee. Coffee serves as a symbol for acceptance onto the NASA team. Mrs. Mitchell’s real-life counterpart was Margery Hannah, who behaved differently than the character in the film. She “went out of her way to treat the West Area women as equals, and had even invited some of them to work-related social affairs at her apartment.” Shetterly 47. It was actually Mary Jackson who lost her cool about the segregated bathrooms. Dorothy Vaughan had sent her on a special assignment to East Computing. Mary “blew her top” to wind tunnel engineer Kazimierz “Kaz” Czarnecki (Karl Zielinski in the movie) about the egregious situation. He listened, then invited her to come work for him. He became her mentor, and she eventually organized his retirement party. Shetterly 254. Katherine Johnson simply ignored the “White Women” (only) bathroom signs at Langley, but the filmmakers scripted the scenes of her racing across the campus and her (Mary Jackson’s) explosion to demonstrate what other black women had to endure. The seating at the cafeteria at Langley was segregated. A West Computer named Miriam Mann found the “Colored Computers” table sign to be especially loathsome. She would periodically remove it, and it would reappear on the table some days later. Eventually, it wasn’t replaced. Shetterly 44. This could have been the inspiration for Katherine’s humiliating coffee pot encounters. Dorothy’s visit to the segregated library with her children depicts another obstacle to equality in the Jim Crow South. Separate and unequal schools were not the only barriers to learning and advancement that confronted African Americans. The photo below tells it all. In her personalized trailer for Hidden Figures, actress Octavia Spencer (“Dorothy Vaughan”) regrets that the number of women in math and computing has recently declined: “…. [W]omen today hold only about a quarter of U.S. computing and mathematical jobs – a fraction that has actually fallen slightly over the past 15 years, even as women have made big strides in other fields.” Why Is Silicon Valley So Awful to Women? Tech companies are spending hundreds of millions of dollars to improve conditions for female employees. Here’s why not much has changed—and what might actually work by Liza Mundy, The Atlantic, April 2017. 1. Who or what is the antagonist in this story? What defeats the antagonist? Explain whether or not you believe that this shows a process that works in reality. Racism (or “Jim Crow”) is the antagonist. This is what the heroines must overcome. The whites who show racist tendencies change by the end of the film when they come to understand that their African-American coworkers are valuable parts of the team. Racism is defeated by the need to get into space and the courage of the “Colored” computers in challenging barriers to try to help the NASA team. This displays a process that has worked and continues to work at NASA, in the U.S. military, in business, in sports, and in many other areas. People working together for a common goal can lead to the end of prejudice. The question that whites in this film must answer is whether their racial prejudice is more important to them than getting a man into orbit. An example of team spirit triumphing over racial prejudice in sports is described in the movie Remember the Titans. 2. What or who are the “Hidden Figures” referred to in the title to this movie? Shetterly cites two possibilities in her book Hidden Figures: One is the women, and especially the black women, whose contributions to America’s space effort went largely unrecognized until the movie was released. Another possibility is that the “Hidden Figures” are the mathematical figures that had to be uncovered in calculating trajectories and orbits for the astronauts. 3. Does this movie paint an accurate picture of racism in the Southern United States under Jim Crow? [or] What are some of the things about racism in the Southern U.S. under Jim Crow that this movie doesn’t show? It doesn’t show most of the terrible things that racists did to black people: the daily humiliation, the beatings, the lynchings, etc. It doesn’t tell the story of the millions of people denied education and jobs because of the color of their skin. 4. What role does the scene with the policeman and the three protagonists play in the story? What does this tell you about the position of the black women in Virginia society in the late 1950s? This scene foreshadows what happens in the film in terms of the attitude of whites at NASA toward the black women with whom they work. It also serves as a reminder of the ever-present threat of force against black Americans inherent in Jim Crow. 5. One view of human relations is that in our lives we choose to associate ourselves with different groups (called “tribes” in this formulation) and that we develop allegiances to these voluntary tribes that are as important as our allegiance to the groups into which we are born or to which traditions assign to us. 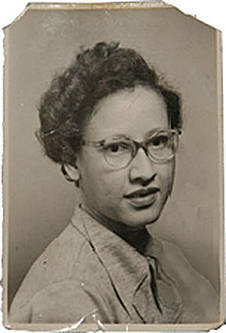 For example, Katherine Johnson could be said to belong to the following “tribes:” mathematicians, the human computers, the NASA Space Task Group, mothers, members of her church, etc. Analyze the story told by this film in terms of this view of human relations. Racism broke down because the voluntary “tribe” of the NASA workforce became more important than the assigned “tribe” of race. Note, that the concept of race is a societal construct. Note: It’s a great exercise to ask students to identify the tribes to which they belong, both traditional (including family) and voluntary. 6. Three characters in the film exhibit racist tendencies. Identify one of them, describe how their racism is shown, and what happens to their attitudes by the end of the film. The characters who exhibit the most adherence to Jim Crow attitudes are the police officer shown at the beginning of the movie; Paul Stafford, the condescending white engineer in the Space Task Group, and Mrs. Mitchell, the Female Computers’ white supervisor. By the end of the film, all of them change their attitudes: the policeman escorts the three protagonists to work; Mrs. Mitchell indicates her growing respect for Dorothy by addressing her as “Mrs. Vaughan,” and Paul Stafford reverses his resistance to Katherine’s presence and status, bringing her a cup of coffee. 7. Coffee serves as a symbol in this movie. What does it symbolize? Professional respect and acceptance as a member of the NASA team. It shows that feminism is not just work related and that a man with the strength of character can appreciate and love a strong woman if he abandons stereotyped ways of viewing women. See Discussion Questions numbered 1, 3, 4, 5, and 6. 1. Describe three acts of courage by the heroines in the film. Why are these actions particularly courageous? 1. What is the basic moral failing of racism? There are many valid responses. Examples include racists do not treat others with respect; they do not follow the Golden Rule, and they are not tolerant of differences. Each of the discussion questions can serve as quick write or essay prompts. 1. The following are research topics for essays by students. Length of essay and extent of research depend upon the capabilities of the class. Describe the origin and history of Jim Crow. Define “de facto” and “de jure” and describe how they relate to Jim Crow. Compare and contrast racial discrimination in the North and in the South during the period 1950 – 1965. Use at least four examples. Describe the changes in American attitudes towards race and racism (both North and South) from before Brown v. Board of Education and the Montgomery Bus Boycott (1954) to Selma and the passage of the Voting Rights Act (1964). Describe the history of Jim Crow laws or customs in your state/city. National Book Award winner Ta-Nehisi Coates has written that the practice of “redlining,” or denying mortgage and financial services to blacks, has prevented the intergenerational transfer of wealth in families that is a mainstay of middle-class financial security in the U.S. The Case for Reparations — Two hundred fifty years of slavery. Ninety years of Jim Crow. Sixty years of separate but equal.Thirty-five years of racist housing policy. Until we reckon with our compounding moral debts, America will never be whole by Ta-Nehisi Coates, The Atlantic, June 2014 Issue. 4. Research and present information on the STEM or STEAM program at your school. Describe any outreach efforts to enroll students of color or girls in these programs. 5. Research and present information on engineering, computer, mathematics, or robotics programs at three of your top choice colleges/universities. 6. Write a persuasive job notice intended to recruit female students and students of color to the fields of math, computing, and sciences. 7. Conduct interviews (in person or via video conference) with math/science/engineering professionals of color/female professors about their career paths and the obstacles they have had to overcome. Anchor Standard #7 for Reading (for both ELA classes and for History/Social Studies, Science, and Technical Classes). (The three Anchor Standards read: “Integrate and evaluate content presented in diverse media, including visually and quantitatively as well as in words.”) CCSS pp. 35 & 60. See also Anchor Standard # 2 for ELA Speaking and Listening, CCSS pg. 48. Anchor Standards #s 1, 2, 7 and 8 for Reading and related standards (for both ELA classes and for History/Social Studies, Science, and Technical Classes). CCSS pp. 35 & 60. Anchor Standards #s 1 – 5 and 7- 10 for Writing and related standards (for both ELA classes and for History/Social Studies, Science, and Technical Classes). CCSS pp. 41 & 63. Anchor Standards #s 1 – 3 (for ELA classes). CCSS pg. 48. Not all assignments reach all Anchor Standards. Teachers are encouraged to review the specific standards to make sure that over the term all standards are met. This Learning Guide was written by Deborah Elliott and was published on May 9, 2017. Today’s, cell phone have more computing power than entire rooms of the digital computers of the 1950s and 1960s. The increases in funding for the sciences that followed Russia’s launch of Sputnik in 1957 were felt in many areas of science. This writer’s father-in-law was a poorly paid professor of biochemistry in the early 1950s. After Sputnik in 1957, his pay and status “skyrocketed” along with those of other scientists in academia.